Commitment laws are a deprivation of human and constitutional rights inflicted on a person said to be mentally ill. They have been used for every wrong reason: financial, sexual, business advantage, inheritance, and even political suppression. Once committed and declared incompetent the person can lose the right to vote, drive a car, join the military, have control over their financial and business affairs, and even practice their profession. The victim is also subjected to health hazards – physically harmful treatments – from which they may never recover. If someone ran amok in the street, grabbing citizens because he disapproved of their behavior, locked them up in a house and submitted them to mind altering drugs or the brutal torture of electric shock in efforts to change or nullify this behavior, there would be public outcry. The perpetrator would be criminally charged with assault and mayhem and locked up for many years. 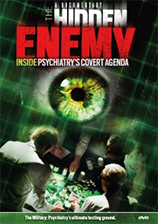 But because the perpetrator is a psychiatrist and the brutal acts he commits are cloaked in terms such as “treatment,” “mental health care,” or “preventing the person from doing harm” and are sanctioned by law, the systematic social and mental crippling of millions of people each year is ignored. Remember, if mental hospitals were places of rest, where people did not fear to seek help, knowing they would not be assaulted with drugs and shock – but where they could receive proper medical help – people may be more approachable about being helped there. Forcing anyone into a mental hospital is oppression disguised as benefaction, imprisonment masquerading as protection. The patient can never be helped in this situation because the psychiatrist is neither friend nor “therapist” but as a jailor is in conflict with the patient. All coercive practices used to force people into mental hospitals should be made illegal. Like the institutions of slavery, the institution of involuntary hospitalization, sanctioned as it is today by law, must be abolished. If a person is violent, shouldn’t they be involuntarily committed for their own safety and the safety of others? Research studies have demonstrated that psychiatric predictions of dangerousness are no better than flipping a coin, and the psychiatrists certainly cannot “cure” what is essentially criminal or anti-social conduct. The foundation of justice is based on the idea that each man is responsible for what he does and is accountable for his actions. But each year thousands of criminals are excused of the most heinous crimes based on psychiatric testimony in courts, thereby destroying the key tool that society has to protect itself from violent crime. If someone is violent or breaks the law, he should be dealt with the way all people are who do such things. We don’t need psychiatrists for that.